S&R Sport is one of the oldest aquatics supply companies in the business today, with over 25 years of supplying the world with water polo suits and competitive swim suits, water polo balls, water polo caps, water polo goals, lane lines and storeels, fins, goggles, storage equipment, and custom team apparel to high schools, universities, clubs and swim facilities alike. What makes S&R Sport so successful is that it was founded by, and continues to employ, athletes from all spectrums of water sports. 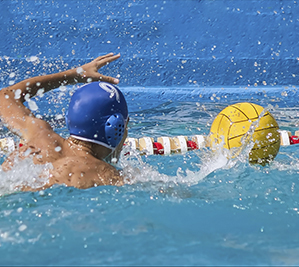 Between water polo, competitive swimming, synchronized swimming, lifeguarding, aquatic facilities management, or just splashing around the pool or the beach, the team at S&R Sport has got you covered. When you work with us, know that you are working with one of your own. We treat you like family, making sure that all of your needs are met, and you are most satisfied with not only your product, but your shopping experience. We know how important your game is to you and how important you are to your game. Welcome to the S&R Sport family, where our customer service is truly extraordinary and important to us. 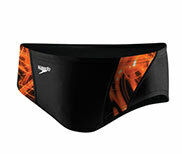 S&R Sport has its own line of water polo and swim suits, water polo caps, towels and gear for individuals and teams. 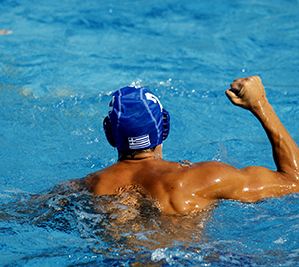 This product was designed by the staff at S&R Sport specifically with the water polo player and competitive swimmer in mind, to give you the best fitting product that will last you beyond any other suit or water polo cap on the market. Made from high grade Speedline fabric, the S&R Sport suits and caps are bullet proof and you won’t see material breakdown or color fade. With the sublimation printing process, all images are fused into the fabric, so the suit won’t tear and your design won’t fade or peel off. The S&R Sport line gives you the most customizable product where you are only limited by your own imagination. With our top notch art department, there truly is no limit. Give us your team colors, mascot and logo, and we can turn your concept into a one-of-a-kind design that is unique to your team and your team only. MASTERS OF THE TEAM ORDER AND "TEAM STORE"
With all of our years in providing top of the line products to our athletes, S&R Sport has mastered the art of Team Ordering. You can go “old school” and compile the product orders on your own and work with our staff to push your order through. Or you can go with our “new school” Team Store option. Work with us on a custom team design, then select the products you want for your athletes as well as your spirit wear and fan gear and we will generate your own Online Team Store where you can send your athletes and fans to shop. They place the order, pay us directly and we ship to their front door. No more hassle with compiling orders or tracking down athletes for money. Everything is done through your personalized Team Store. You will work directly with one of our Team Sales Representatives to get your team outfitted for the season. It really doesn’t get any easier. With everything from customized suits, caps and apparel, S&R Sport makes it painless for your merchandise to arrive at your doorsteps within 4 weeks. Need an upgrade on your lane lines? We’ve got that. 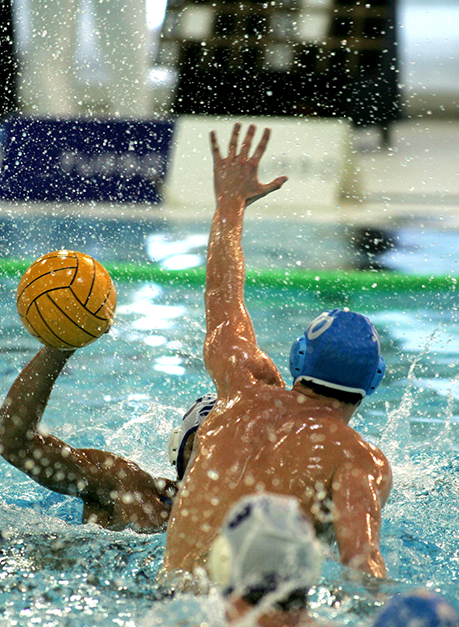 Need new water polo goals? No problem - we are the top seller in the country for AntiWave. Want a stack of custom kickboards, pull buoys, and hand paddles for your drop-in lap swimmers or to support your local clubs? We’ve got you covered there too. Because with S&R Sport, we have all of your Facility needs too. It doesn’t matter if you’re starting your facility from scratch or you are looking to update your equipment for the years to come, S&R Sport can outfit you there too. And it goes beyond equipment. Customize your employee wear as well, with your own color scheme and logo. 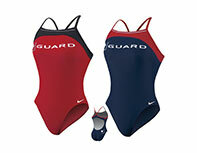 We’ve even got your lifeguards covered too, with a wide variety of lifeguard suits and trunks for the guys and the girls. And you can always kick your suits up a notch when you go with the S&R Sport line, and truly customize your guard’s look. You can generate all of your faculty gear to be truly unique and seamless across all departments, so your patrons can identify staff whenever they need help. 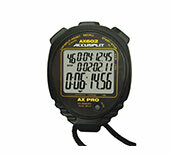 We at S&R Sport pride ourselves on offering the best in customer service and support. Our staff is incredibly knowledgeable on all of our products and will work with you to get the best product to meet your needs. Whether it’s setting up a Team Store for your Club, or ordering that single suit as you join the frays of Masters Swimming, the courteous and helpful staff at S&R Sport has your back and will help you all the way through the process, from ordering until it arrives at your front door. 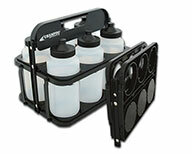 We will make all of your gear ordering simple and easy. Now go have some fun...GET IN THE WATER!